Hi, my name is Keira Lynch from DeWitt Middle School and here’s what’s going on around town for kids like me. Chinese New Year, also called Spring Festival, has more than 4,000 years of history. It is the grandest and most celebrated festival of the Chinese tradition. 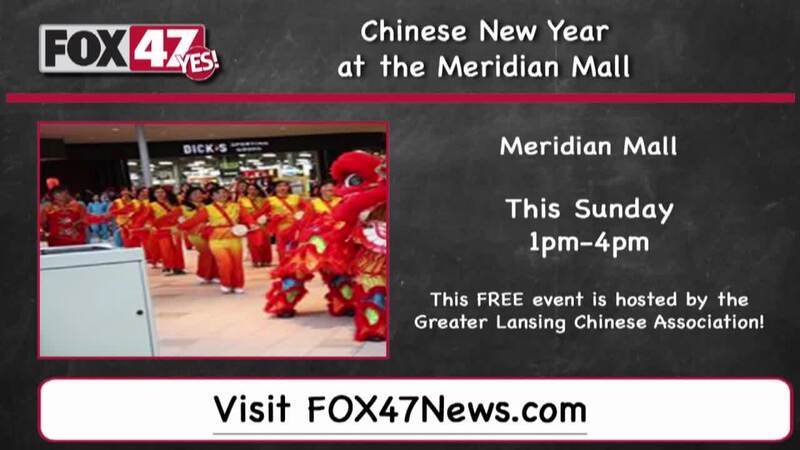 Meridian Township will celebrate the Chinese New Year with a parade, music, dancing, singing, games and more at the Meridian Mall from 1:00 – 4:00pm. For more info on events like this, go to FOX 47 news dot com, my name is Keira Lynch now back to the FOX 47 studios.